The expectation to "play for free"
But one thing that has been troubling to me is to see so many people here believe that it's their "right" to play this game "for free." Never mind that Next Games (based in Finland) has 60+ employees in "real life" working on this game, who have to pay bills, feed their families, etc. Last I heard the words "boycott" and "protest" we're used for serious social issues, like racism or unfair labor practices - not a bunch of bored brats wanting to play endless hours of an iPhone game for free. My guess is Next/CPW could be in financial dire straits - they received $10 million in capital investment, and likely haven't come close to the investor expectations. Thus, the latest revenue driving changes. But let's play this out... What if you did spend $10/month on diamonds to play this game - to speed up heal times. What is wrong with that? Isn't that (gulp) sort of fair, given the hours of entertainment you enjoy? Last I checked: Cable TV, a Netflix subscription, iTunes music, attending a movie aren't "free" right? Meanwhile there's another thread is championing Super Cell games - which I find completely laughable. After 3 years of playing and spending around $1,000 on Clash of Clans, I can tell you there is nothing worse than Super Cell's financial manipulation of players (or "sheep" as they call them at corporate headquarters). Now, I do think CPW needs to watch themselves... They have pushed the envelope on these revenue enhancements - and I am hoping they see that, and compromise to bring the Heal Cards back, somewhere in between where they were before. Well said. In addition, there are ways to get diamonds without shelling out any of your real money. Sites like freemyapps that let you earn iTunes or google play cards that you can use in cpw. Win win for both sides..
LMAO Highlander... Such unbelievable irony... you realize saying "these CPW guys are crooks - I'm going to Super Cell!" is like a disgruntled citizen of a Western country (like USA, UK, Sweden, Canada) saying "these guys are crooks - I'm going to North Korea or Russia! Those guys will treat me decently." Again, good luck with that. I don't care about the cost of diamonds or anything else cost related. It is the constant breakings and misinformation that they provide us. Supercell always gives you a heads up and tests out their "enhancements" On the other hand here we discover changes made that NO ONE mentioned to us. Notorious Wrangler goes down? Not mentioned anywhere.... oh this week is a cattle battle? Guess what, mine battle. Purchased diamonds and got nothing? Sorry no response. There are still a ton of random glitches that don't even get a response. Doing an attack and the server dies? Lose all your troops and enjoy waiting on them to heal. These are things that are preventable or at least acknowledge them. There are people who earned rewards who still have not gotten them. It is fraud if I someone were to purchase diamonds to heal and then have the game crash and now they have 40 injured troops. FYI... I have over 10k in diamonds..... never use them. @Wingman300 I agree with you. Prior notifications of any upcoming changes/updates would go a long way than to letting the players discover them on their own. The sneaky way isn't the way they should go about it and it seems like that's been their tactic. They only mention positive changes and neglect to mention the negative changes. Even now, they have yet to acknowledge the negative aspects of the previous updates. You're putting words in my mouth and making your views seem silly and severely bias. I know very well super cell are a business designed to make money if I choose to spend, it's entirely up to the individual. But to be told untruths several times and have purchases be devalued on a whim is not a marketing strategy I want to support. Regardless of your personal views on super cell or cpw, I think we all know super cell focus on gaming fun which can be enhanced further if you invest and you get what you pay for. Can cpw say the same? With their updates Supercell "moves the fence back" on people - essentially devaluing hundred of hours of gameplay or literally thousands of dollars spent. Bait and switch at its finest. To think it's better there is truly naive. In fact, it's much worse. I knew a guy in the first year - really smart, hardworking guy - who finally gave in and spent about $7,000 to get the upgrades so he could join North 44, the top clan in the world at the time (Jorge Jao's clan). He was a guy who has spent months trying to get there, but in the end only money could buy that level of gameplay and he spent it. A few weeks later, Supercell came out with their "update" that essentially rendered his base - and all the money he spent - worthless. The guy was completely broken up, understandably. Supercell goes for the jugular - they're not simply trying to make $10/month like these guys - they're trying to create "game addicts" who not unlike gamblers or drug addicts, destroy their lives spending money they don't have. I sincerely hope this doesn't happen to you. Consider yourself warned. 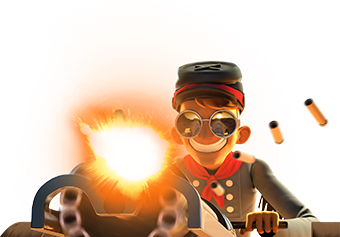 snowdrifter, I get that you've had a negative experience with supercell. You've shared that you spent I think you said around $1000.00 and walked away from all that money bought because of "moving the fence back" as you say. I see the similarity in the gripes many of us are expressing here with CPW. We are united against what we see as unjust behavior on the part of the game companys. No one is suggesting that you should feel differently. Comments like "bored brats" and "lmao....such unbelievable irony" take it to a different level. It feels a little more personal. What did anyone say to get you so worked up against your fellow players? I don't see any conflict here. No one made it personal. You can do whatever you want with that. Just my personal observations. You're moving the topic a bit aren't you? Again... I have maxed everything but a few walls and never spent a dime on supercell. I have never spent a dime here either. To me it isnt about money. It is about the quality of the game.